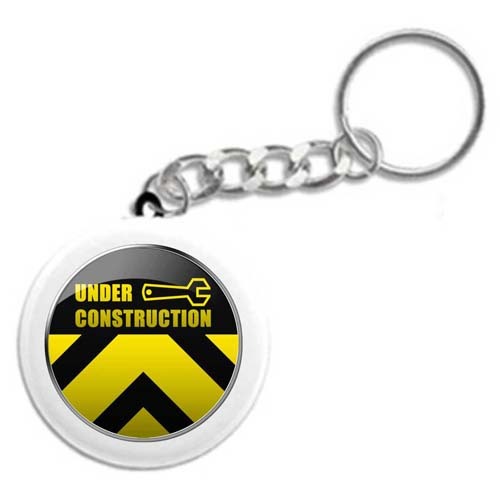 Under Construction Key Chain - Recovery Keychains, Key Fobs, and fun 12 Step Gifts! A special recovery key chain for anyone in the program! Excellent for newcomers and old timers alike! A great reminder that He ain't finished with any of us and that we're all still "under construction!"